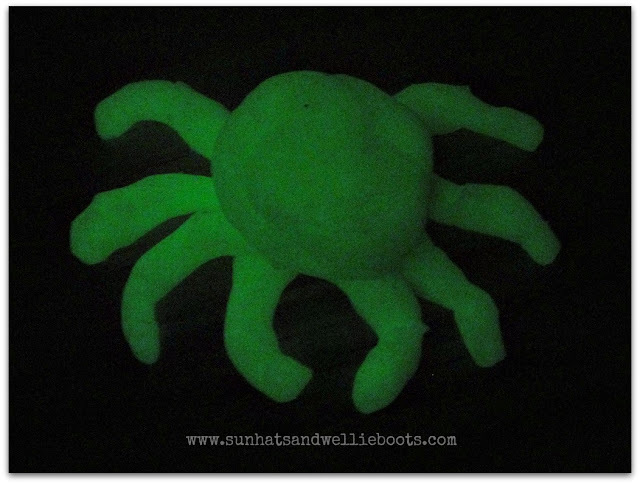 We've had fun exploring different types of 'light' recently, & as my girl loves play dough I thought we’d have a go at making some glow in the dark play dough! 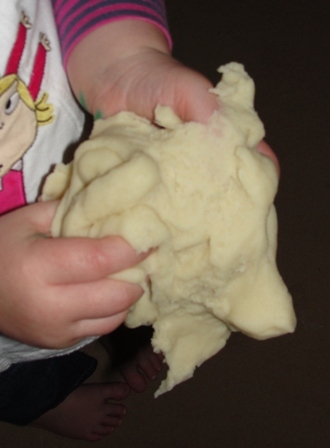 We made up a batch of simple play dough following our easy play dough recipe. 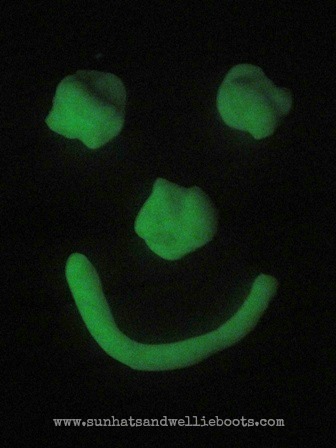 Once it was cooled I added some glow in the dark paint from the Early Learning Centre & kneaded well into the dough. I repeated this process until the mixture became sticky. I left it for 10mins until the dough had dried a little, & the consistency was smooth. 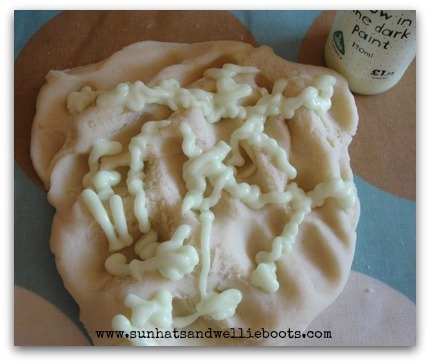 I added more paint & continued mixing into the dough. To check the dough had a glow, I moved the dough into a darker area of the kitchen to see if it radiated any light, & to my surprise it did! 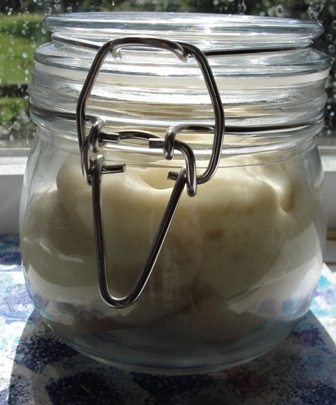 To ‘charge’ the dough up, & prevent it from drying out, I placed it in an air tight Kilner jar & sat it on a windowsill in full sun. The sunlight caused the dough to glow - Hurrah! 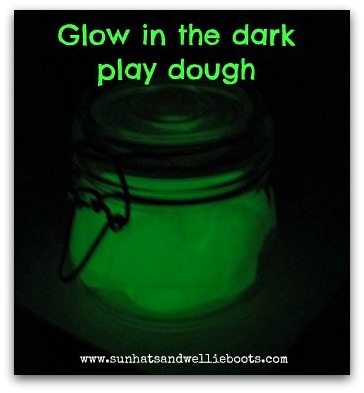 To add an extra ‘boost’ we shone a powerful torch on the dough, which made the dough to glow even brighter. For the dough to maintain its glow it needs to sit for a few hours in direct light. If the dough is manipulated for a long period of time without much light it's unlikely to produce such a bright result. But once charged the effects are magical. This really does work! I don't have the best camera, so the photos don't to it justice, but the dough does glow very bright. 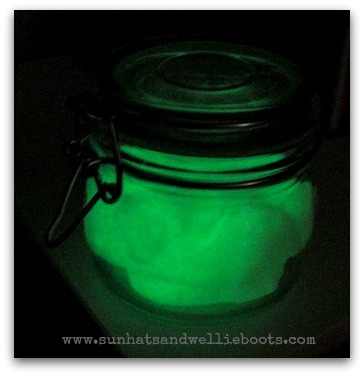 What a great way to explore light, energy, sensory play, & imagination. I’m thinking it would be great fun for any parties coming up at the end of October & treat bags too!